Show up your local take out joint with these homemade babies. 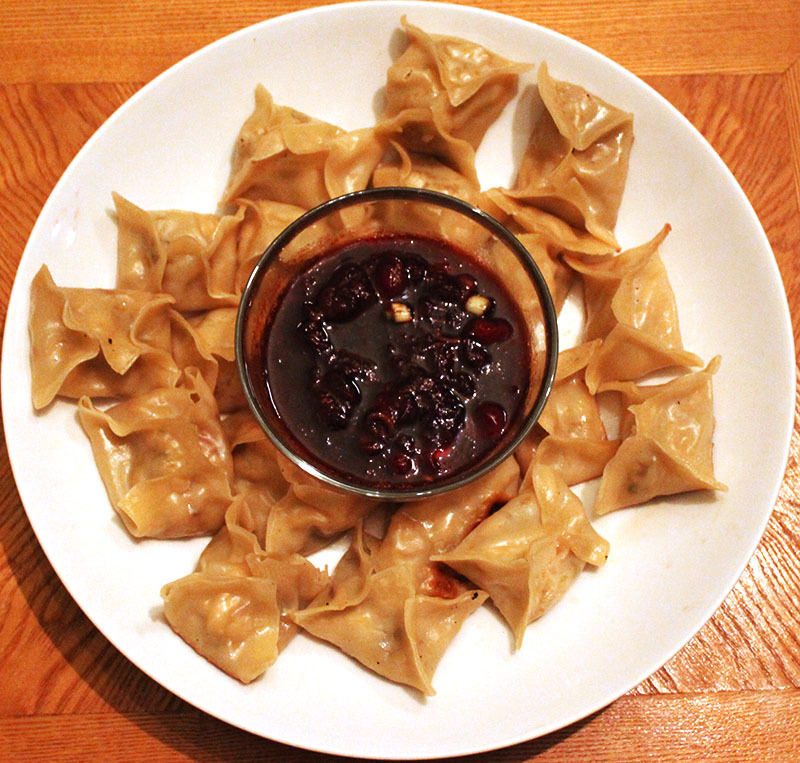 Dumplings are not as hard as you think they are; as long as you don't aim for perfection and beauty your first time around, you can easily make them, because as long as they are sealed, they're technically some sort of dumpling. Stuff with your leftovers of choice (we used stuffing and turkey), and enjoy your round II food coma. In a small mixing bowl, crack the egg and add a few drops of water. Scramble until well-combined. Set aside. Place a 1/2 Tablespoon each of the turkey and stuffing in the center of 1 wonton wrapper. With your pointer finger, dip your pointer finger or a pastry brush in the egg wash and coat the border of the wrapper. *At this point, the dumplings can be placed on a sheet pan lined with parchment paper and frozen, to be cooked later. To Cook: In a cast iron or non-stick pan, heat sesame oil over medium-high heat until hot, but not smoking. Add half of dumplings to the pan, flat side down, until the bottom's are golden. Slowly pour tepid water into the pan, until the water is 1/2 way up the sides of the dumplings. Cover the pan and steam 8-10 minutes, until dumpling wrappers are slightly translucent. Strain out dumplings and repeat with other 1/2. Serve immediately with Cranberry Scallion Dipping Sauce.